Did you miss me last week? A team challenge and nobody went home? And ANOTHER movie tie-in challenge? Looks like I chose the right week to skip a recap! You know how I feel about episodes when everyone stays (like it's a waste of time). Let's see if this week is any better! A two-day challenge! The designers weren't the only ones happy about that. Tim's plaid suit jacket that he was wearing in the opening was adorable. I didn't like Shan's self-negativity. Poor guy. I'm rooting for him and want him to do well. I thought Anya's frustration was understandable, but all I heard out of her mouth was "I...I...I". "I can't help..." "I'm frustrated with you..." And when she asked Nicholas if he actually made the garments in his portfolio?? How disrespectful! From Anya of all people! (Remember when she showed up to her PR audition with pieces that she "designed" but didn't make?) Anya, you picked the wrong designer when you had to choose, but that's not Nicholas' fault, it's YOUR fault. Ugh. I like Anya, but the whole thing annoyed me to no end. She turned into a micro-managing Nick-monster. And maybe I'm wrong, but it's hard to take Anya seriously when she's wearing a see-through shirt or a dress cut down to her navel. For all his struggles, Shan nailed it. I want to be that ninja leather lady in the future-past! Nick's designers impressed me. Oscar's was totally over-the-top, which is acceptable to me only in an avant-garde challenge. Natalia's ended up being pretty darn cool, with or without the gimmick. Asha's "schizophrenic in a good way" design seemed the opposite to me. I didn't like the plaid and lace. Maybe if the lace wasn't pink? Michelle. Didn't we already have the vampire challenge? "(Oscar) just doesn't seem to think that any decision he could make right now is a bad decision, which is a terrible way to think for a fashion designer." --Sam I disagree with this statement. In a competition show that focuses on working with a time limit, if you start doubting your decisions you're screwed. 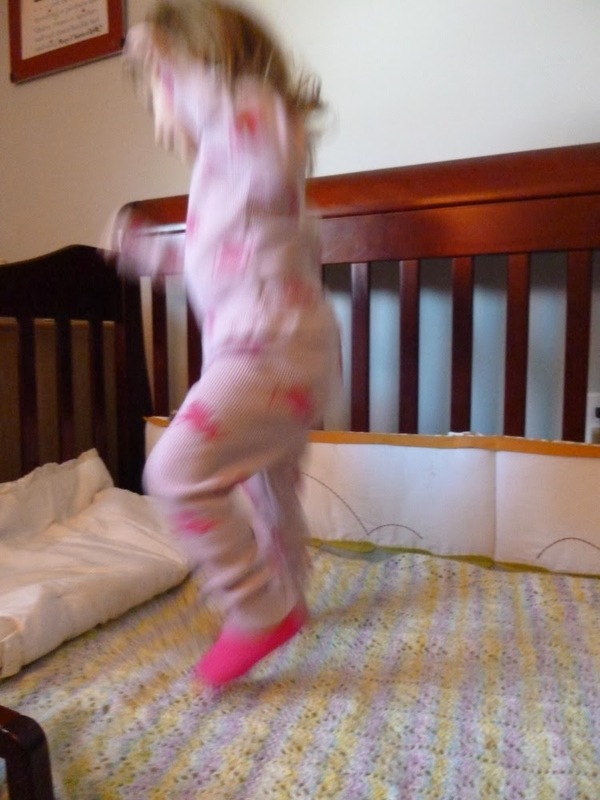 I might also still be contemplating this article that Sarai posted last week (so good!). To be honest, I'm having trouble differentiating Nicholas and Blake. If you quizzed me on who made what, I'd probably lose. So either one could have gone home without bothering me. Don't even get me started on Anya being allowed to choose again. I think Natalia deserved to win. As much as I liked Shan's garment, Natalia's was way more avant-garde. Ah well, it's a matter of taste, as Tim would say. Next week: unconventional beachwear? What a terrible idea for a challenge. Let me guess, it's sponsored by Coppertone or Sharknado 2. A few weeks ago, Fabric Mart had a sale on wool jerseys. 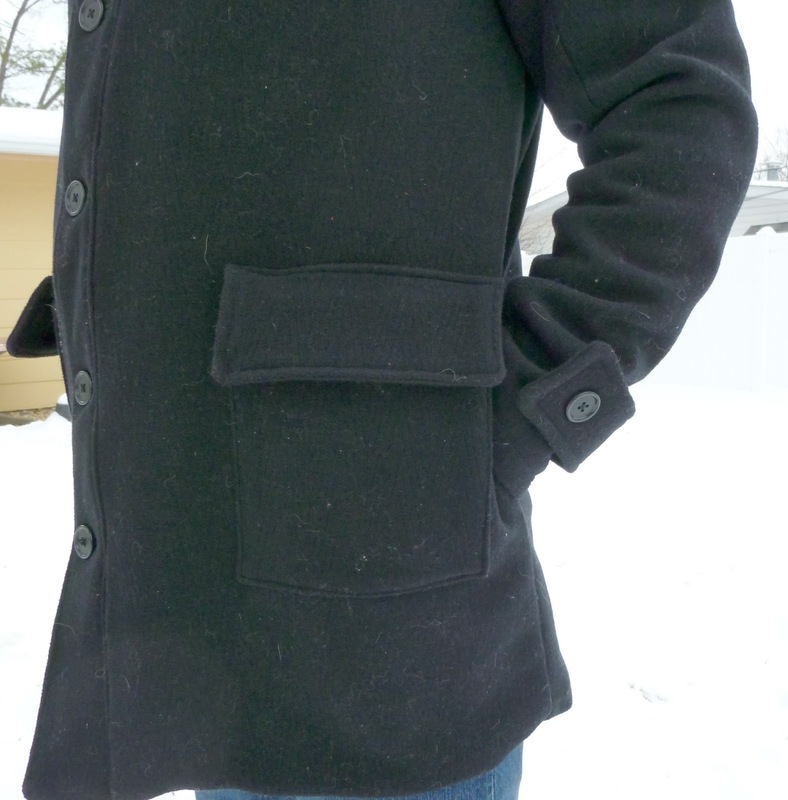 I enjoyed sewing wool when I made my husband's Albion coat, and resolved to sew with it more often. And we all know my jersey obsession. 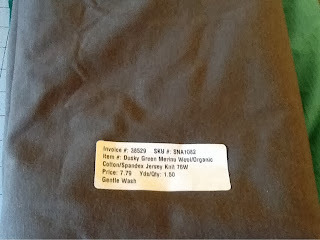 I found an amazing wool/organic cotton/spandex blend, which also happened to be 76" wide! The only down side, it was an ugly poop green color. But for less than $8/yard I couldn't resist. It's pretty impossible to photograph the color accurately, so I'll just describe it as army green. It's not terrible, but it is boring. So what do you do with boring colors? You make leggings, and underwear, and a camisole! Despite the color, the fabric is pretty amazing. It's thick, crazy warm, soft, and recovers very well thanks to the spandex. AND it's washable! I tested a swatch first and only had minimal shrinkage. In my experience, if a wool jersey is a merino wool jersey, I've been able to wash it without the wool felting or changing. But always test first! 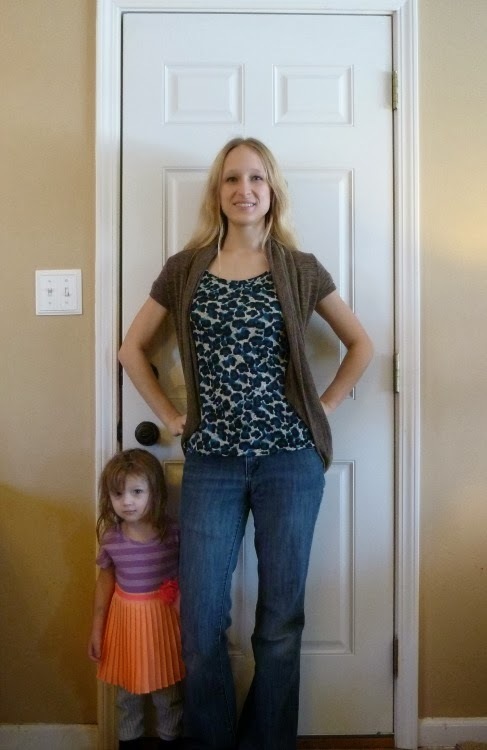 For the leggings, I went back to McCall's 6173 (first version here). This time I made the "regular" length version, although I guess I'm petite because they're still a tad slouchy. 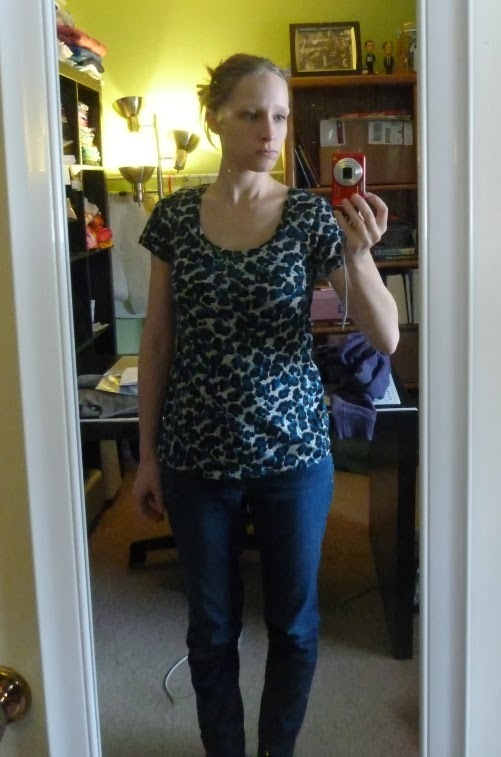 I shortened the rise and also took a wedge from center back because I have a super flat derriere. I saved the scrap of fabric I had after making this alteration last time, and literally traced the new shape onto the pattern piece. This color falls pretty well into the "nearly neutrals" category, so it goes well with other neutrals and some colors. Just what you want from leggings. Next, I moved on to a pair of underwear. I've been a tad obsessed with the idea of wool underwear since seeing these gorgeous beauties online. Since the cold weather doesn't seem to be going anywhere, why not? I used a self-drafted pattern based on a pair of RTW underwear. 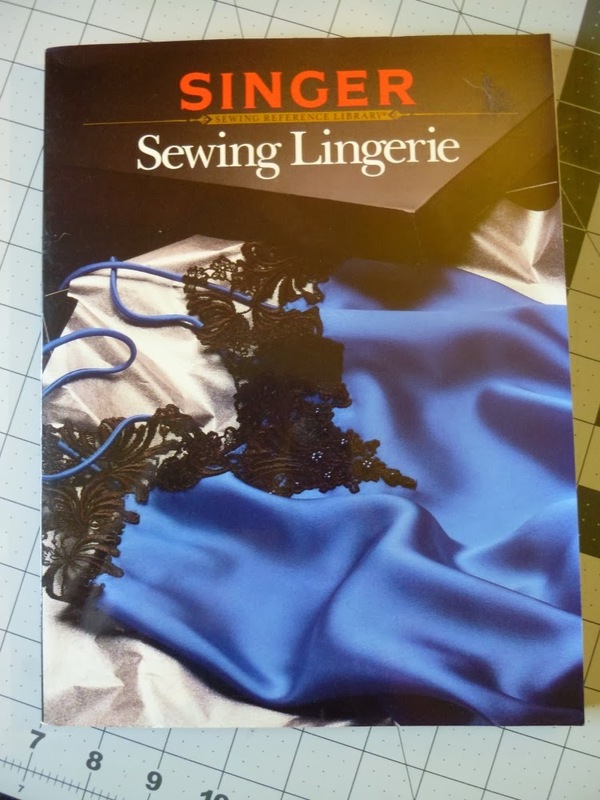 And if you're going to sew underwear, grab yourself a copy of Sewing Lingerie from the Singer Sewing Library. It's fantastic! 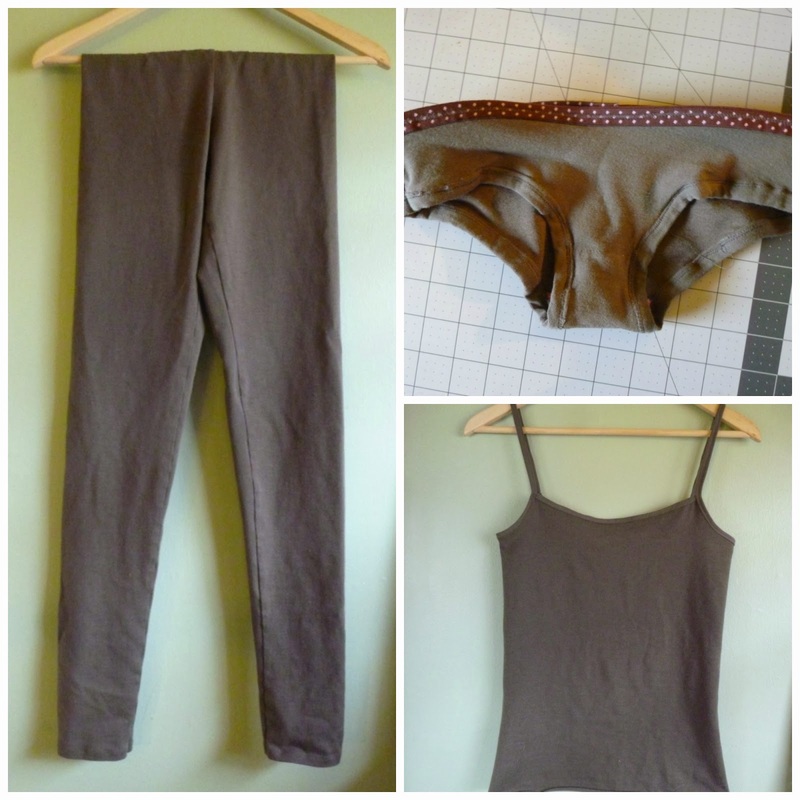 The waistband is finished with fold-over elastic. I know, I know...I said I was never going to use FOE again, but I figured that a flat waistband would be easier than a curved neckline. And it was. It looks a little stretched out in the photo, but while wearing it's flat and snug. The leg openings are finished with a simple self-fabric binding. For some reason, most books say to finish underwear leg openings with elastic, but a lot of my RTW underwear is finished with bindings. I think as long as the style is snug, you don't need elastic. 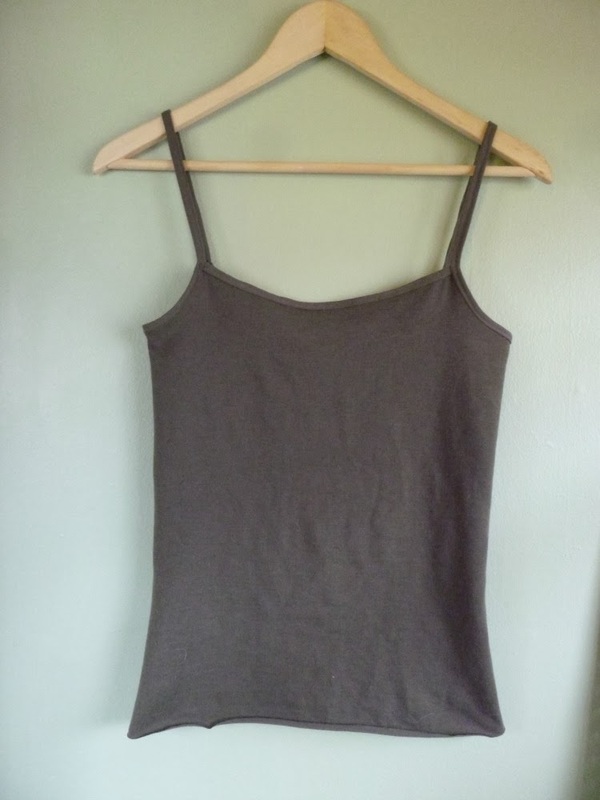 To complete this wool base layer trifecta, I made a camisole using the free Sami Cami pattern from Iconic Patterns. This was my first time making this pattern, so this is sort of a wearable muslin to see if it's worth making again. In the winter, I tend to wear tank tops instead of camis, but summer will be here eventually and I'll need more camis. The cami is a size 6. I should have shortened the straps but oh well. Next time! I left it unhemmed so it's easier to tuck into shirts (okay...I'm just lazy). I might lengthen it a bit next time for the same reason. I did end up with a wonky binding on the front, due to using a zig-zag stitch. I pressed the blankity blank out of it, but it was still wavy, so I ended up folding it over into a weird tuck. 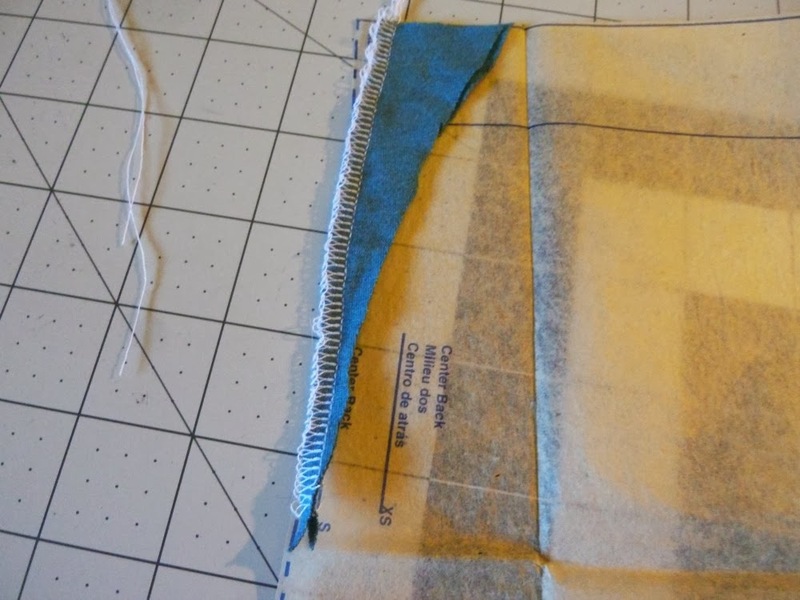 For the binding on the back I switched to a longer straight stitch and had no waviness. I was worried about stretching it over my head but it wasn't an issue at all. I think it's more important for your fabric to have good stretch and spandex for recovery. Phew! I tried to keep this as short as possible, but with three items it was hard. And I still have more fabric, so this might not be the last time you see it! 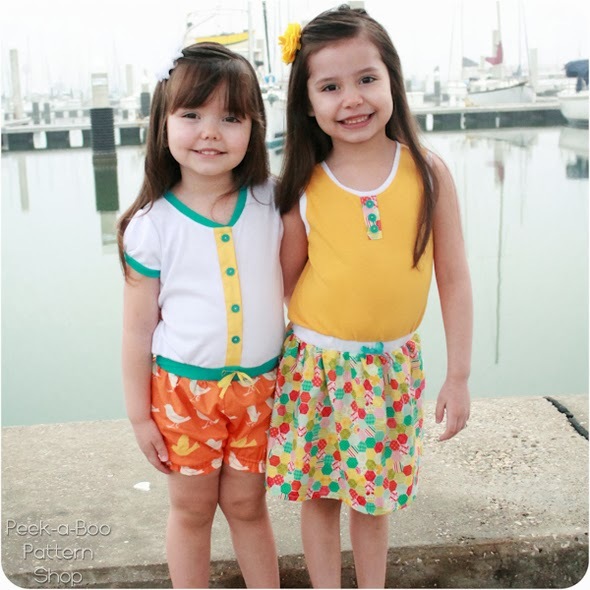 Time for another new release from Peek-a-Boo Pattern Shop! 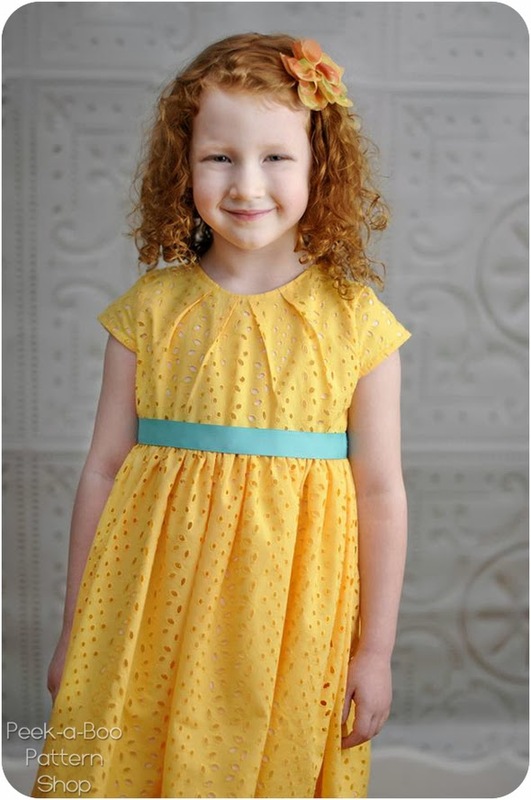 Today only, grab the Amelia Dress and Romper pattern for 15% off! 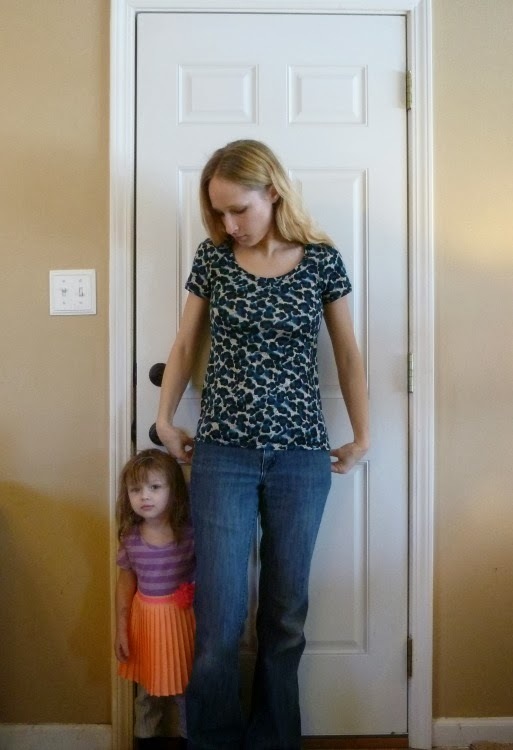 There are so many options with this pattern, you could make a whole spring/summer wardrobe! Confession: I'm really obnoxious about my birthday. Like, I'm the person who goes and buys booze just so someone will card me and say "oh, it's your birthday!" and I can say "why yes, isn't it great!" I think I've only gotten worse with age, or maybe since meeting my husband. He hates birthdays. Seriously, his employer gives everyone in the company an extra personal day to use on their birthdays, and he never takes the day off. I have to enjoy birthdays enough for the both of us! I think I stole all the joy of gift-giving from my husband, because I picked out my presents ahead of time (sorry...). But with the Sewaholic sale last week, and Craftsy's supply sale this weekend, there were deals that couldn't be ignored! I have a Renfrew pattern on the way (finally!) and I also bought the October Sewalong Kit from Craftsy (a pattern and fabric). Is it still a good birthday if you pick out your own presents? I think so. For me, it's a great birthday as long as I have my family with me, some cake, and Cracker Barrel french toast. And donuts for breakfast doesn't hurt. The last two assignments for the Wardrobe Architect series involved color. At first I really struggled with it, but by the end, I at least understood WHY I was struggling. First, we were instructed to build our palettes. Basically, find colors you're drawn to (for any reason) and make note of them. 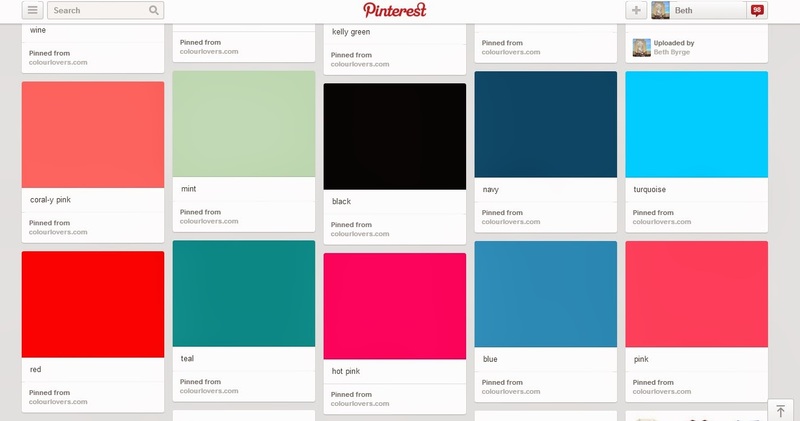 I ended up browsing the site Colour Lovers and pinning my favorites to my Wardrobe Architect Pinterest board. 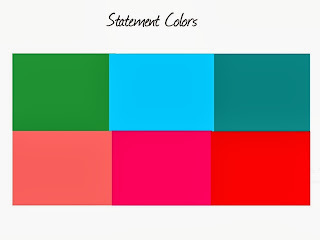 You could use Photoshop or the website Kuler, but I liked Colour Lovers because it was easy to use with Pinterest. 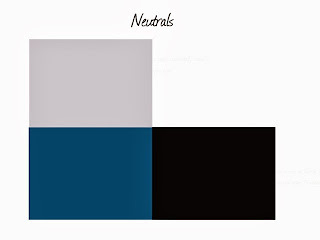 Although, no matter what site I used, the colors look different on my computer vs. my iPad, so take that with a grain of salt. I ended with some very confusing choices. Basically it was all blues/greens, and shades of pink. With very few neutrals thrown in there. But Sarai didn't leave us hanging, because the next week she provided some guidance on how to group your colors and make sense of them. The categories she outlined were neutrals, nearly neutrals, statement colors, and metallics. I went back through my original colors and grouped them using the app Moodboard (Lite, which is free). If you love a lot of statement colors, you'll need a bigger wardrobe because you can't get as much mileage out of them. It seems simple, but it's something I've struggled with even though I didn't know why. Also, I'm susceptible to mixing statement colors when they should probably be paired with neutrals or nearly neutrals. Which leads me to my second problem (hey, you can't fix what you don't acknowledge, as Dr. Phil would say). 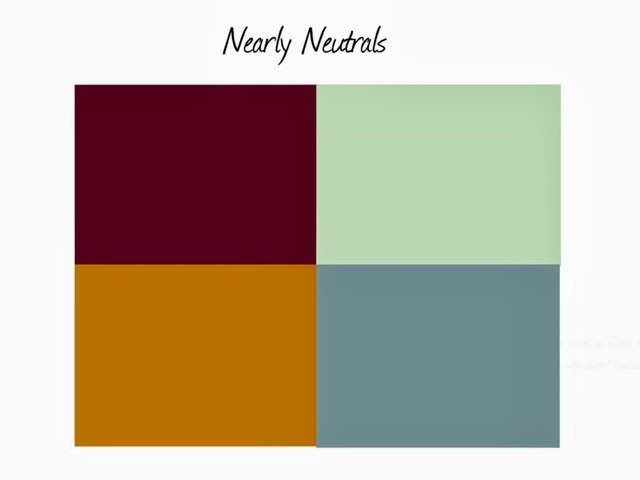 Neutrals are hard for me. I have a light complexion and light hair, so colors like white, peach, and tan just wash me out. Darker neutrals like black or brown work better, but in the dead of winter when I never see the sun, that means a pretty stark contrast with my skin. I didn't make a board of metallics because I hadn't pinned any in the first place. I typically use metallics in shoes, if at all, and then mostly silver as I think gold and bronze can wash me out like light neutrals. So I've spotted some trouble areas and can now make a more conscious effort to fix them. More grey, more dark or medium neutrals, and be more careful about choosing statement colors. Hopefully next week Sarai will introduce a magical formula I can follow (2 neutrals + 1 statement = clothing nirvana!). How is it going with your Wardrobe Architect project? Making any new discoveries? Just a quick update to say I'll be taking a break from rehashing Under the Gunn today. But I won't leave you empty-handed, go here to order your copy of A Sewist's Notebook and receive free shipping with code KINDNESS14. This offer expires tonight at midnight eastern! Wouldn't it be cool if I had a fancy new blazer and top to show you today? Yeah, that would be cool. Instead, how about a half-finished disaster and a new Plantain? Let's start with the bad. The blazer is Butterick 5926, which I won from the talented MrsCharisma (you can see her review here). 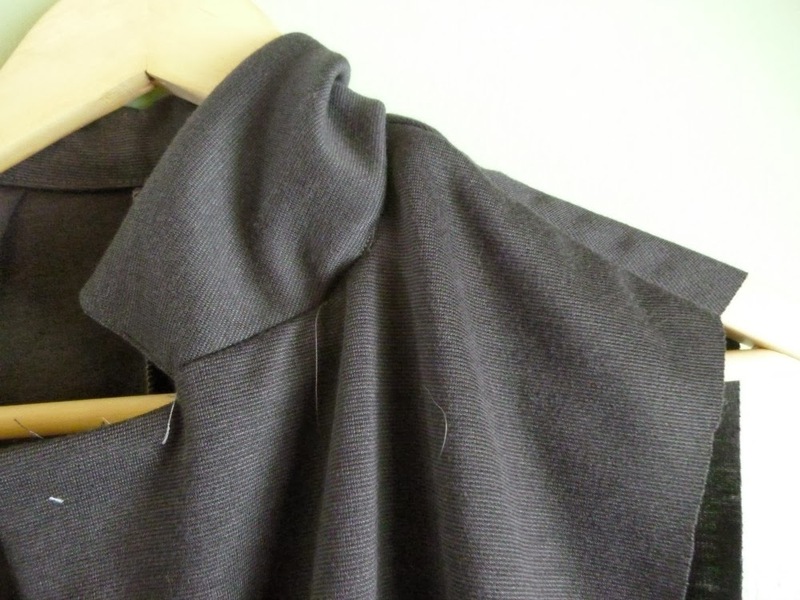 The pattern is for an unlined blazer using knit fabrics (stable ones such as ponte). 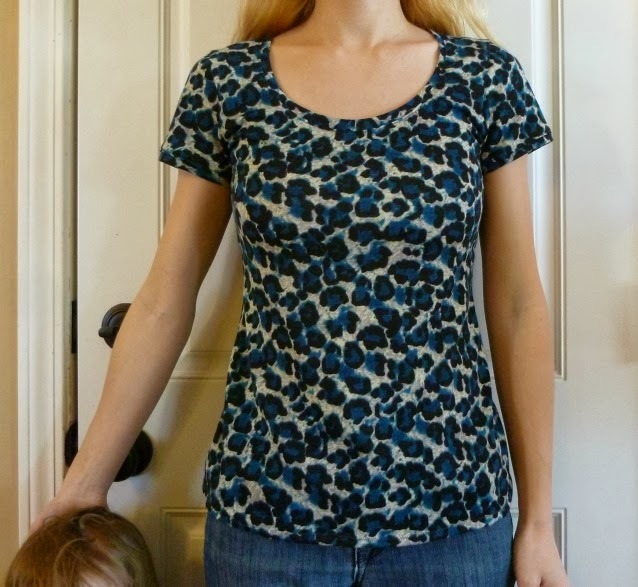 I was super excited about it, as I love knits and ponte is so easy to sew. I ordered some amazing pink ponte from Mood, but restrained myself from cutting into it and decided to make a wearable muslin first. But it was not to be. I had a lot of trouble with the collar. Everything about this pattern felt non-intuitive. I'll admit, this was my first blazer, but I couldn't help feeling like the instructions were lacking. For example, even important clipping and pressing was ignored. There was a lot of hand-stitching that made no sense. So I ended up with one wonky collar notch, and one not-wonky one that I couldn't duplicate. Once I attached the facings inside, there was all this weird puckering. It was just so so bad, and worse, I didn't know how to fix it. Going in to this, I thought I'd end up with a versatile grey blazer and a fun pink blazer, and now I have neither. Le sigh. The worst part is that I'd already sewn on perfect patch pockets. I'm thinking about signing up for this new Craftsy class about blazers. It comes with a pattern and I'm sure I could learn a lot about tailoring in general. There is one version of the pattern on PR that's made with a double knit, so perhaps my pink ponte can be a blazer someday after all. Or maybe the Victoria Blazer? It seems less complicated (though a bit boxy for my tastes). To make myself feel better, I forged ahead with another Plantain, this time with sleeves. I decided to make a bigger size than my tank top because of how constricted I felt around the armhole area. 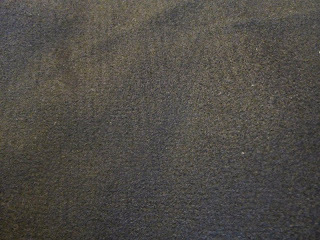 This fabric is also from the remnants at JA, and it's a poly/spandex knit. Since I had a little under a yard, I made the short sleeve version. And yes, I could wear it yesterday because it FINALLY warmed up a little bit! I tossed on a cardigan and left the house with bare arms exposed. I added bands to the sleeves because I'm about at the end of my rope with hemming knits. My birthday is Tuesday, anyone want to gift me a coverstitch machine? No? Anyway, I like the bands, the sleeves might be a little too short otherwise. After two Plantains, I've now worked out my ideal fit. A raised neckline, a size 36 around the bust, grading down to a 34 in the natural waist and sides, with a size 36 length. Phew! You should see my hacked up and taped pattern pieces. 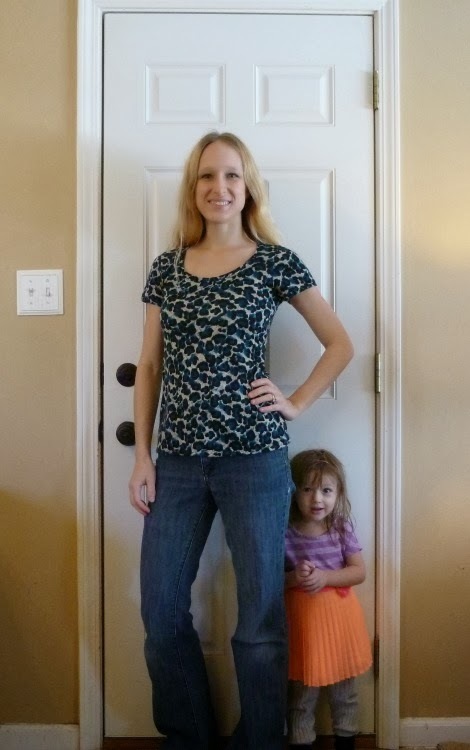 "Mommy is posing, so I should too." Any advice on blazers? Think I should sign up for the Craftsy class? It's new, so there is currently only 1 review (even though it says 500+ have enrolled). I hate feeling like a pattern defeated me, like I just didn't know enough. The most embarrassing part is that I don't even own a blazer! So I have nothing to study. Sad face. I guess I will just enjoy my fierce leopard Plantain instead! As a reward for reading all the way to the end of this enormous post, I'll let you know that the Savannah Pleated Party Dress is now available from Peek-a-Boo Pattern Shop. Today only, receive 15% off (no code required)! And to celebrate the update of the Coney Island Tankini, it is also 15% off today! Get ready for Easter and summer and general warmth again! There were a bunch of books on my Christmas list this year (see another one reviewed here) and one was Angela Wolf's first book. I'm a big fan of Angela, who appears on PBS's It's Sew Easy. She also teaches classes on Craftsy and Pattern Review. 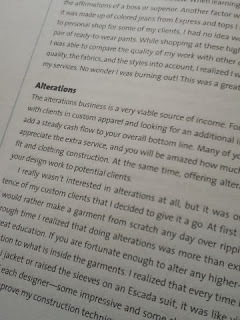 I've taken her Craftsy class about alterations and found her to be a gret teacher. 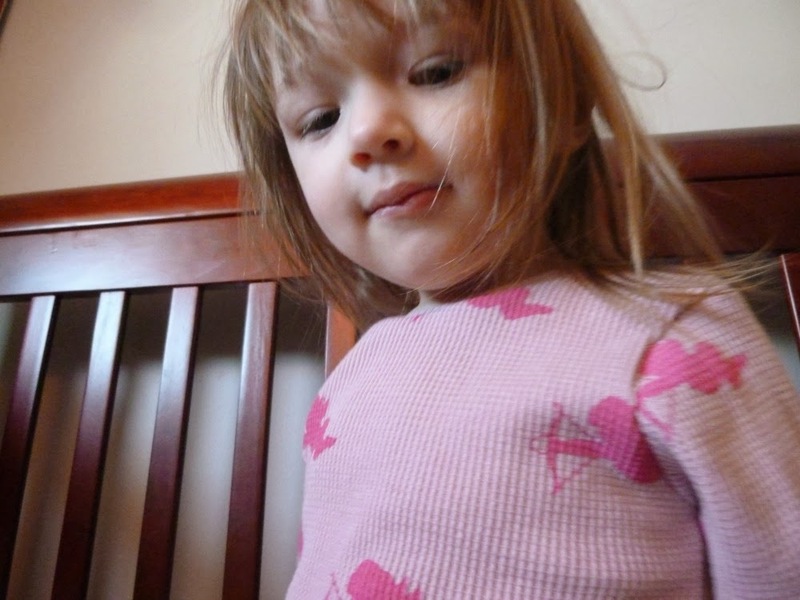 She knows her stuff, but she also communicates it in a very learnable way. I figured her book would do the same, and I was right! 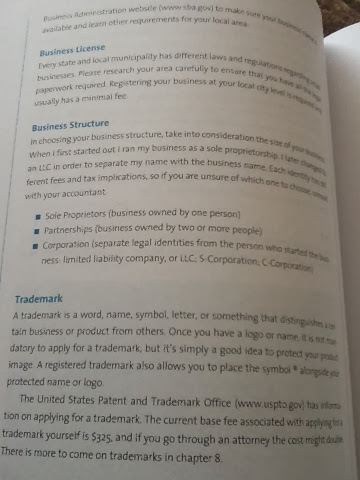 But back to the book. 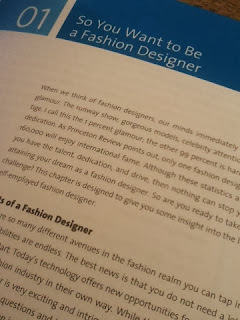 Even though the title implies an emphasis on fashion design, the book still covers other options, like alterations, costume design, and even personal shopping. You name it, Angela has at least dabbled, and has advice by the bucketful. More than once I found myself going "huh, I never would have thought of that". For example, Angela says that not paying yourself can be tempting in the beginning, but then what happens if you need to hire out your work? Your budget won't allow for it because you never "paid" for labor! Tips like these are scattered throughout the book, making it a great read from cover to cover. Angela Wolf actually went to college for business. She knows the importance of financial planning, billing, tax planning, and other legalities. 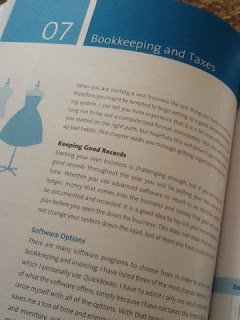 You may be able to get this information in a business book, but the focus on fashion design keeps the book from being too dry for us creative types. I would recommend this book for anyone who knows what they want to do (alterations, fashion design), but even more so for a person who isn't sure (like me). With an open mind, you can digest details and decide "hmmmm that's not really for me". As I flipped through this book and wrote this review, I remembered just how much great information it contained. As many of the reviews on Amazon state, it's worth the cost for the resources alone. From trade shows to sewing organizations to pattern-making software, you'll find everything you need to get started in fashion. My only criticism is that the book assumes a business centered around women's fashion. There is no mention of all the laws that come with children's wear, for example. I know this is because Angela's background is womenswear, but it would have been a relevant piece of information in the legal section. In closing, if a fashion career is something you're considering, then read this book! It's everything I hoped it would be, and more. Hey everyone! 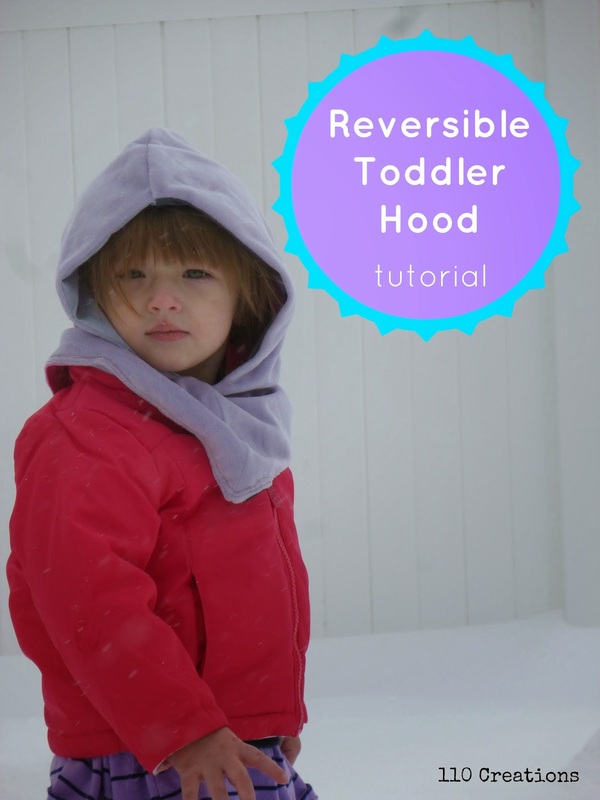 Today I'm the guest contributor over at Sew Mama Sew, with a tutorial on making a reversible toddler hood. This is the perfect project to use up small cuts of fabric (two half yards will do!). And who wouldn't appreciate some new winter gear to cheer up this endless winter? Thank you to Sew Mama Sew for having me, this was a fun project! Head there now to see the full tutorial. Happy Valentine's Day everyone! Looks like we've got more snow coming, so we'll be staying in and cooking up some steaks. Yum! I liked Blake's honesty with Anya. I think some designers get overwhelmed and just freak out (ELENA) when instead they should say "hey, mentor, I need help" in a calm voice. Shan had a leather jacket done by the time of his consultation? Are you kidding me? He's crazy fast! I liked that Asha tried to help Isabelle. I admire contestants that can think of others in the midst of doing this kind of crazy competition show. I went back and forth between being mad at Nick for being so overbearing, and wondering why Isabelle came on a show about mentoring. If she identifies herself as stubborn and doesn't want to listen to anyone...well...she's on the wrong show. Uhh...they changed models? Suddenly Sam's cute girl was with Michelle. I didn't love any of these. The only...thing...out there that I liked was Shan's jacket, but I didn't think it looked right with the leggings. Oh my. Oscar. Was this challenge for Cher, 30 years ago? Stephanie's looked like a Ninja Turtle. Phew...Isabelle is gone. She should have been disqualified the last two challenges, anyway. Asha's win was well-deserved, she had the most unique look and one of the few that was age-appropriate. So that makes three wins in a row for Mondo, right? Next week...the unsurprising implosion of Nick's team. AB's birthday was last weekend, and while I didn't make her a new dress (she wore this party dress, which still fits) I did make her some new PJs for Valentine's Day. 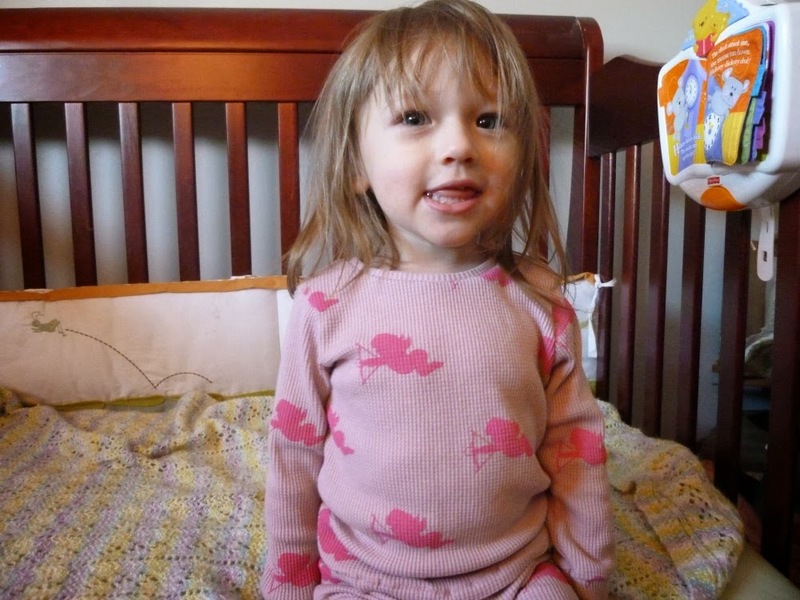 The fabric is a thermal knit from Girl Charlee. It's a designer overstock and it was dirt cheap as GC is soon to be moving to a big warehouse, and this was one of the fabrics they've put on sale. 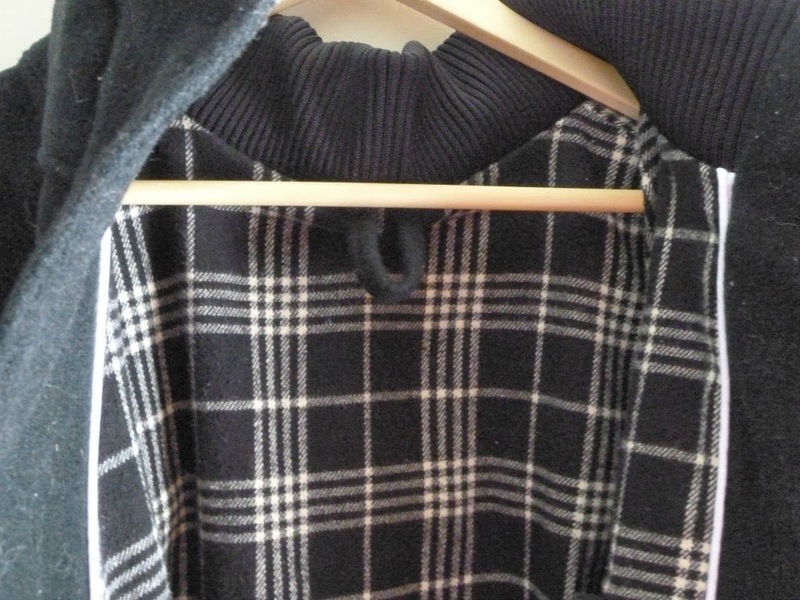 For a thermal knit, the quality is excellent. I have some more in different prints and it will make excellent jammies. One thing I did notice is that the printed design is not exactly on grain. Probably why GC was able to sell it. No worries, it's subtle and I don't think anyone else will notice. 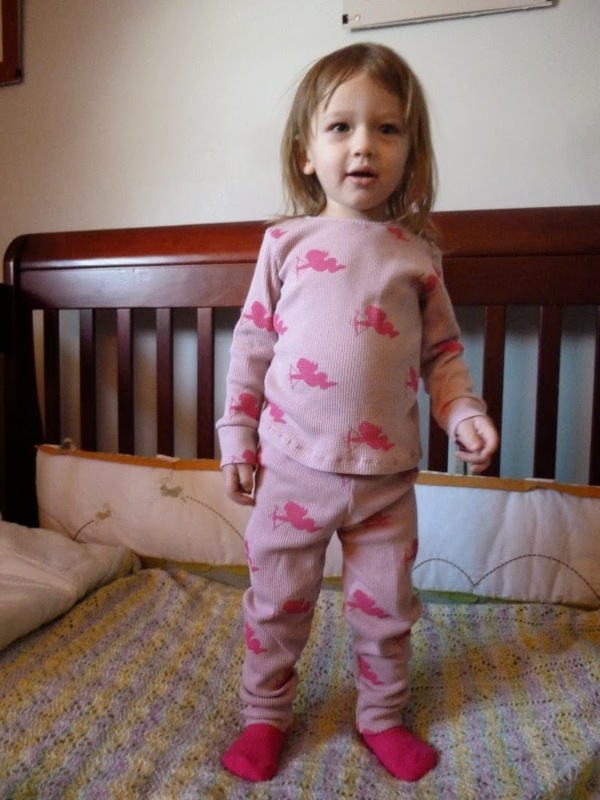 Pink socks courtesy of her great-grandparents. 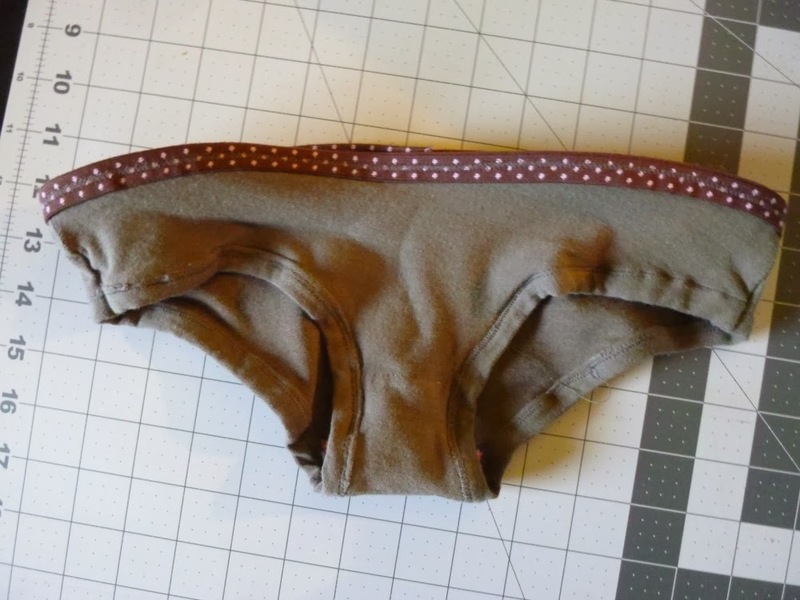 I lengthened the rise in the back of the pants by about an inch to accommodate cloth diapers. I think there's still plenty of room in the whole set, so it should last her through this never-ending winter we're having. Other than that I made no changes. I had hoped to squeeze this out of one yard and still have some left to make myself a tank top, but I screwed up the bodice once and had to cut another one. I attempted to use fold-over elastic to finish the neckline but it was just terrible. Every time I use FOE it ends miserably. I need to just stop trying. 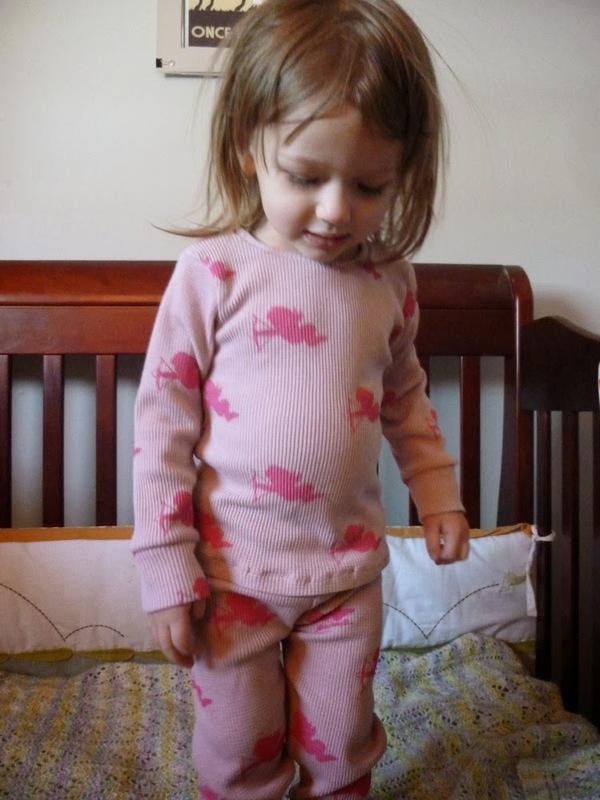 This isn't the most romantic Valentine's Day sewing, but it sure looks cute on her! While you're picking up the Winter PJs pattern, you can also purchase the newly-released Castaway Cargos and revamped Sailor Shorts for 15% off, today only! I have no idea how many work-hours I have in my completed Albion, but it's probably equal to the amount of research-hours I invested. SO MANY LINKS. And also books. So how's about we put them all in one place to reference later? 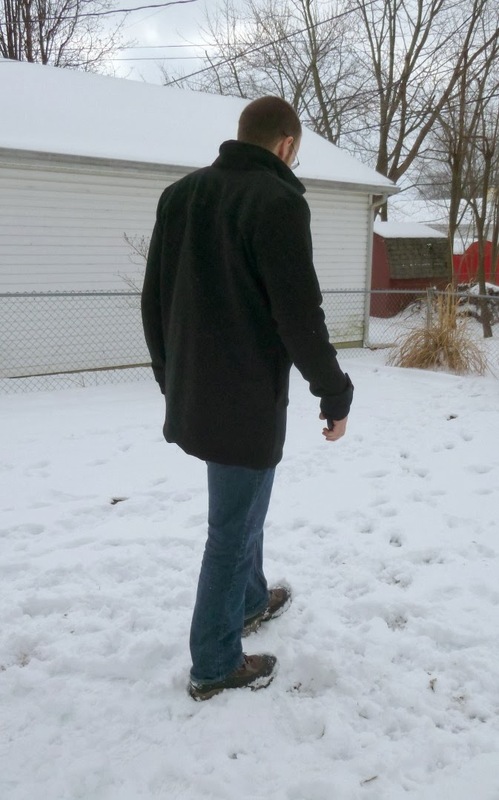 First of all, the modifications I made were inspired by my own winter coat (you can see photos here). I studied this coat as much as possible without tearing it apart, and used my best judgement to plan order of construction, etc. (many nights falling asleep going over construction in my head). I also practiced the collar during my muslin stage. Tailoring: The Classic Guide to Sewing the Perfect Jacket--VERY informative, and will teach you all you need to know about tailoring a more traditional coat or suit jacket. Also goes in depth about supplies like interfacing and linings. 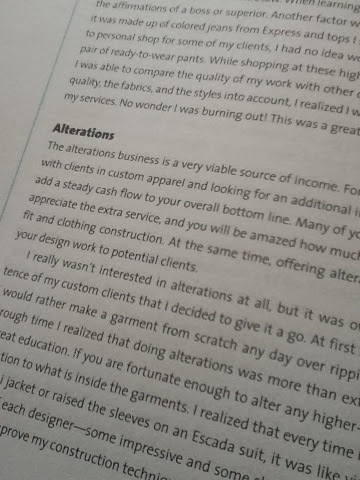 Plenty of info that transfers into coat-making. How to Preshrink Wool at Home--This is the method I used. You need to preshrink wool somehow, otherwise when you press/steam your seams will shrink! All About Linings--Also be sure to preshrink your linings! 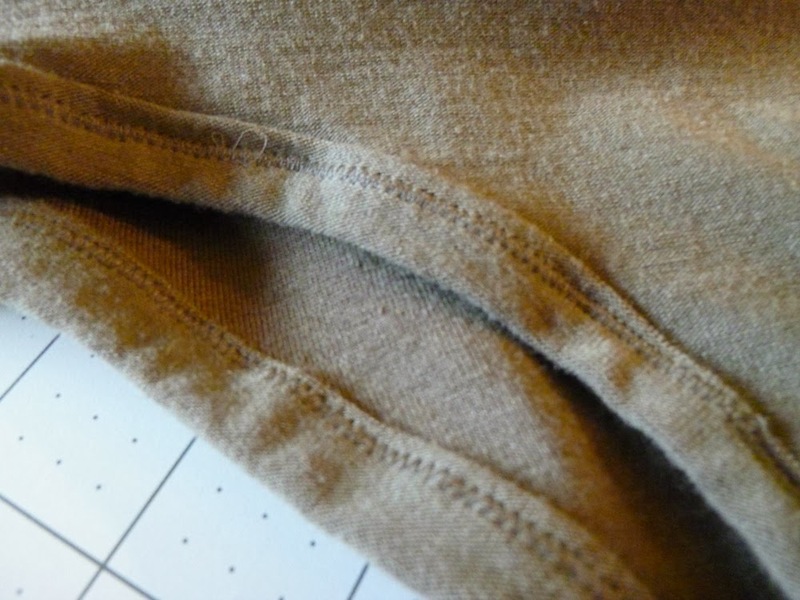 How to Sew a Welt Pocket--I used this tutorial to insert my welt pocket and it worked perfectly. I drafted my own pattern pieces based on the size of my husband's cell phone. It should be noted that the Albion pattern does not have you bag the lining, but I decided to try it this way. I ended up doing the sleeve hems differently so honestly I didn't use anybody's directions! All my testing for automatic buttonholes was disastrous. I quickly realized that I would need to sew the buttonholes (all five of them) by hand. Le sigh! 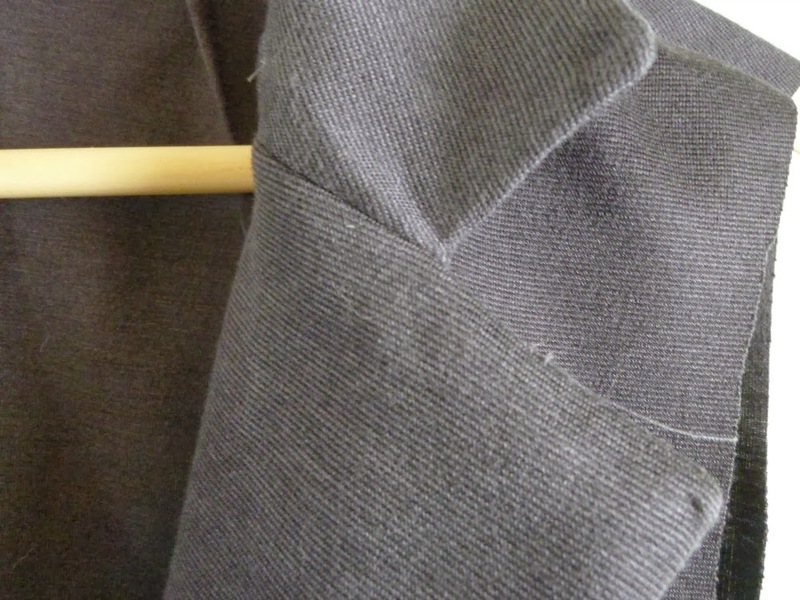 How to Sew a Buttonhole by Hand--Fantastic tutorial. 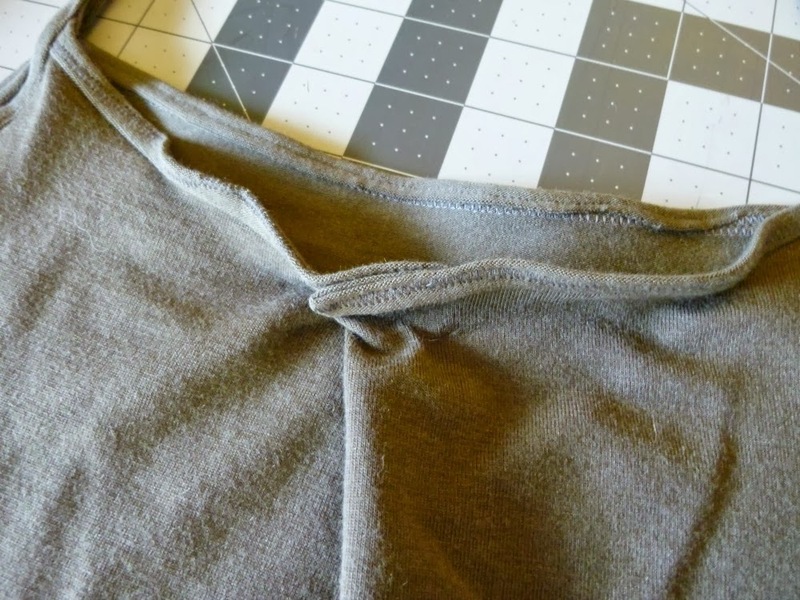 (video) How to Sew a Buttonhole Stitch--This helped me the most with the actual stitch. This is my final post on the Albion, which has been haunting me for months now. It was the most expensive, ambitious, taxing sewing project I've ever undertaken. When it was done I refused to take it back into my sewing room for even minor tweaks or pressing, because I was so over it. 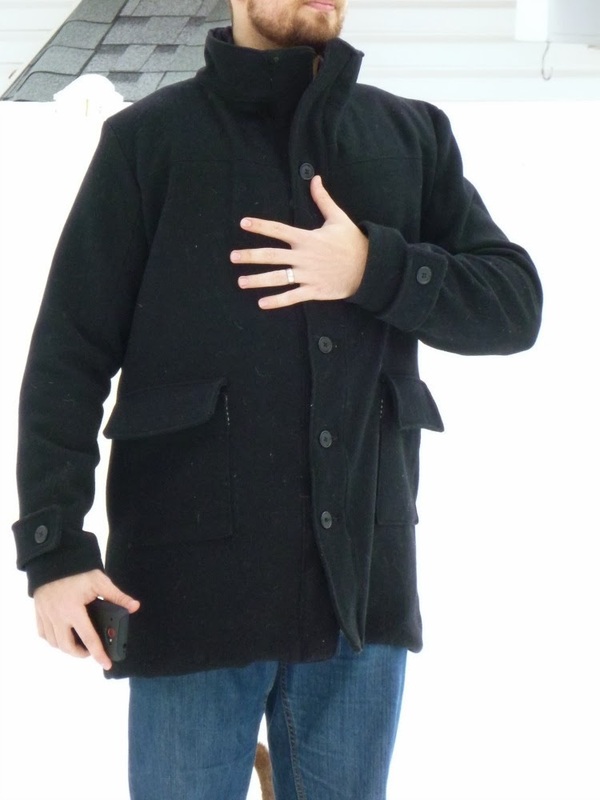 I'm proud that I made a coat. I'm proud that I made complicated pattern modifications and it didn't end in disaster. But is it my favorite thing? No. Is it my husband's go-to every day coat? No. Do I sometimes wish I could burn it into a pile of ash? Yes. But I hope that I won't always feel that way. I had very high expectations for myself, probably unfairly so, and I need to learn to take it easy on me. 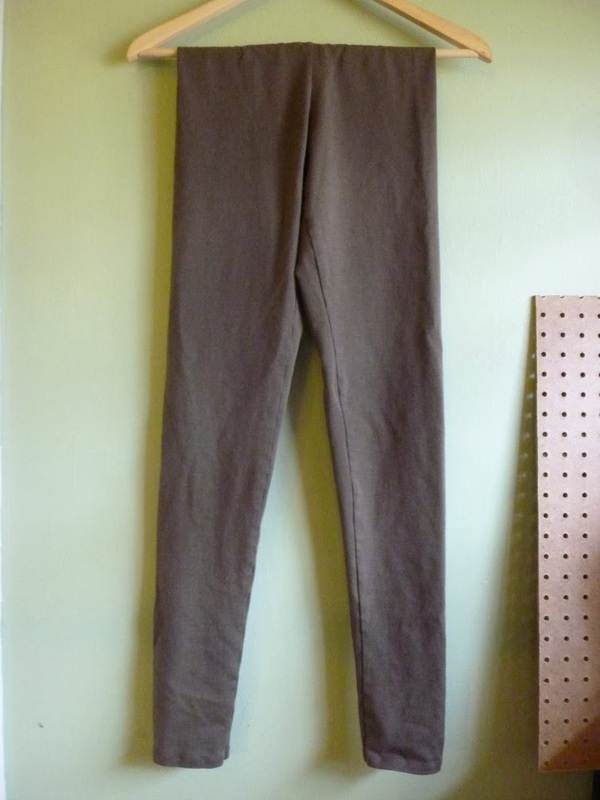 I kind of feel the way I felt after I made my first pair of trousers. Like I learned a whole hell of a lot, but like it was work when sewing is usually fun. In the end, it's always an accomplishment when something leaves the sewing room for the closet. And maybe that's all that matters. 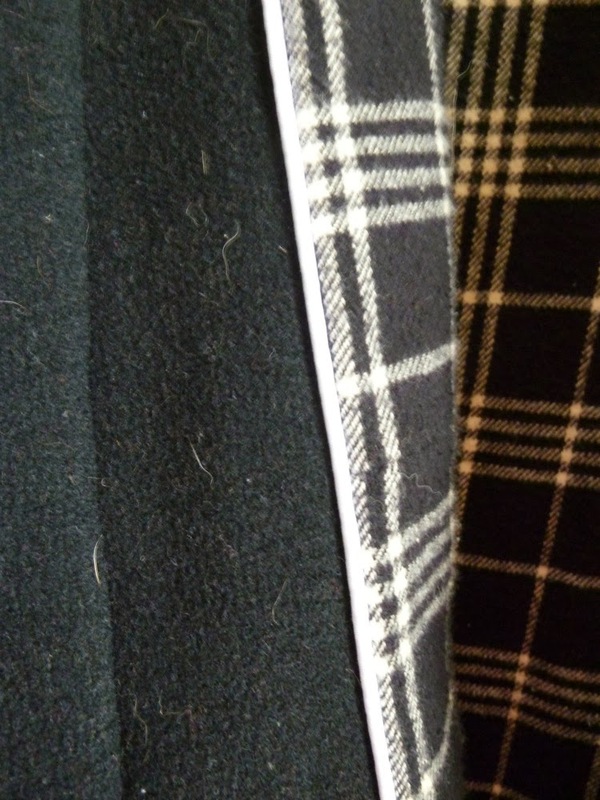 I spent a LOT of time selecting fabrics/supplies for my husband's Albion coat. I did plenty of research and I think it would be helpful to share my thought process and how I chose one thing over another. If money had been no object, I would have ordered wool melton from Mood. But at $20/yard, needing 4 yards, it wasn't in the budget. Instead, I ordered a 100% wool coating from Fabric Mart for the exterior shell. It was thinner than I expected (seemed more like a suiting weight) but as I worked with it I was glad for the weight. 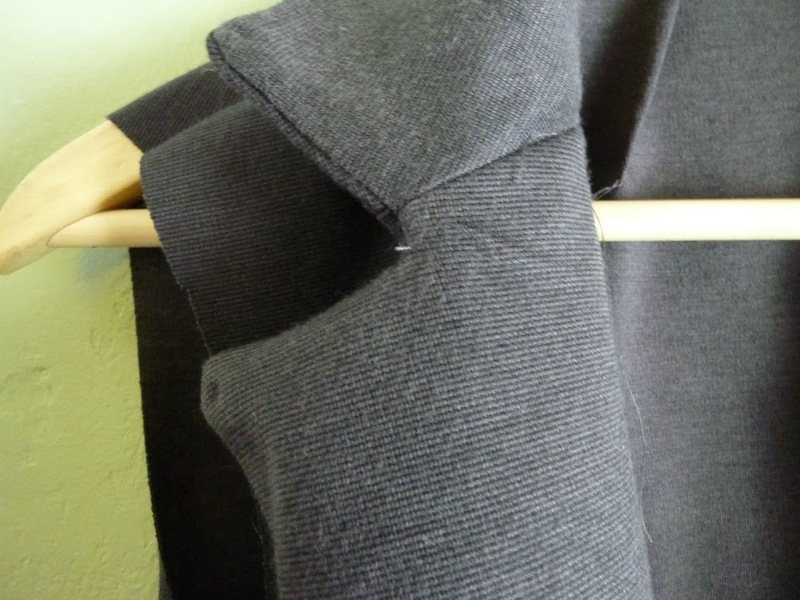 Some areas of the coat had 5-6 layers of wool, and it would have been impossible for me to sew that much bulk with a thicker fabric. I read that the tightness of the weave is just as important as the actual weight, and since this fabric is heavily felted it's still warm. 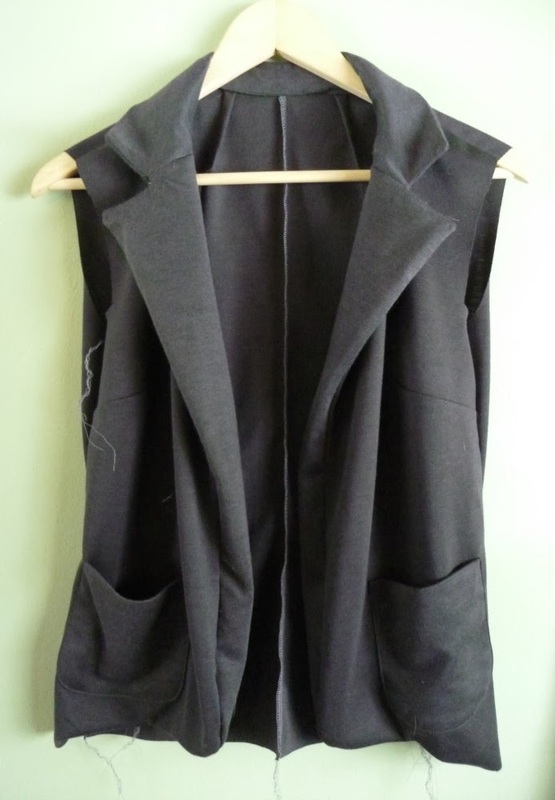 The finished coat is SO. HEAVY. that I can't imagine using a thicker fabric, so I was lucky. It was a closeout deal, so there isn't any left (sorry!). The only thing I didn't like about it was its attraction to pet hair. 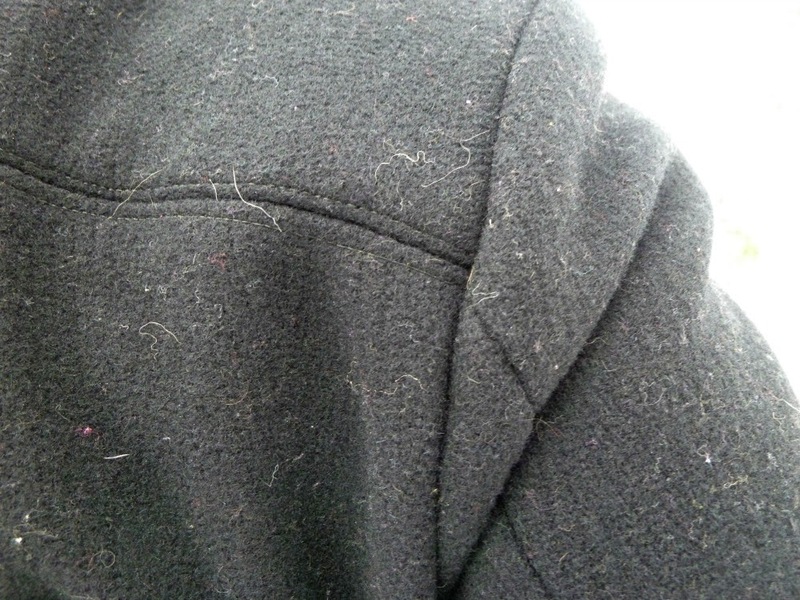 Even with excessive lint-rolling there are always cat/dog/people hairs sticking to it. I considered all kinds of things for the lining. 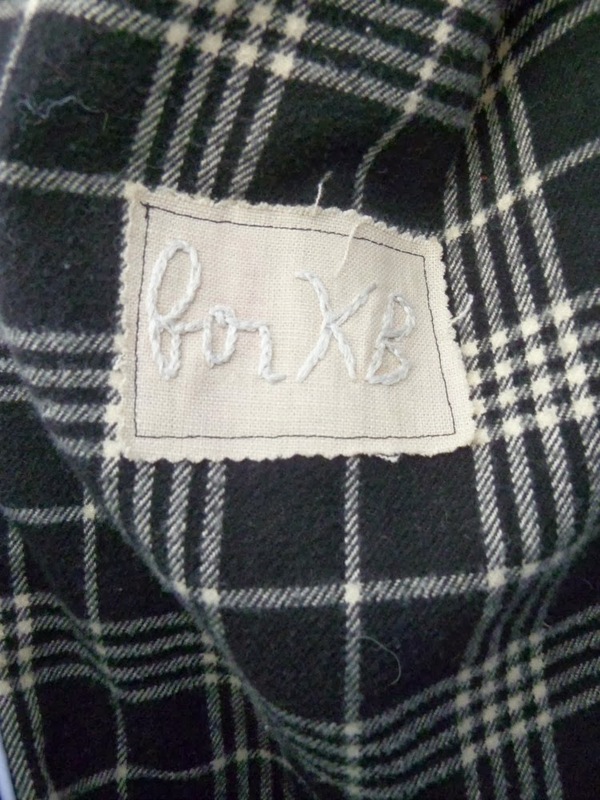 Silks, flannel, flannel-backed satin, quilted yardage, Thinsulate, on and on. All of them had drawbacks. Silk would have easily slid over clothing, but it's expensive and breaks down when it interacts with sweat. 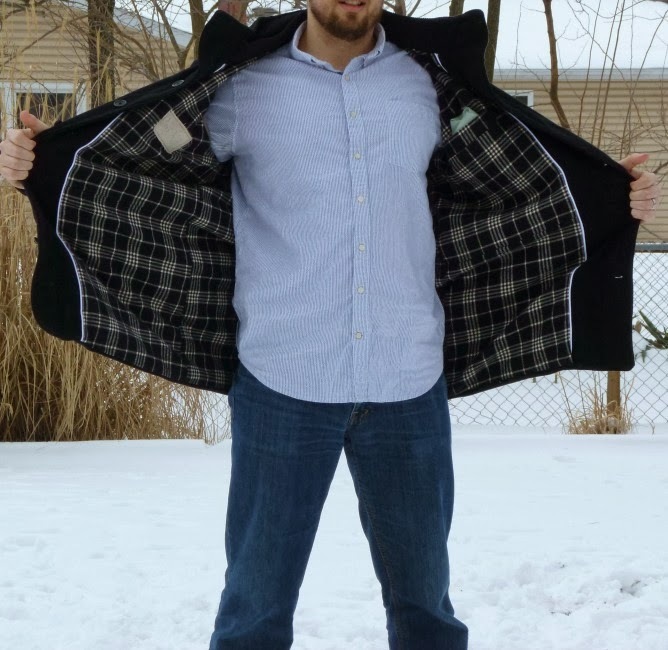 Flannel is warm, but difficult to find a high quality and doesn't slide over clothes. Flannel-backed satin would have been my ideal choice, but the quality at Jo-Ann's was unimpressive, and it was hard to source elsewhere. Quilted yardage is expensive. Thinsulate can't be pressed (it melts) and is more appropriate for a puffy ski-style coat (so I read). 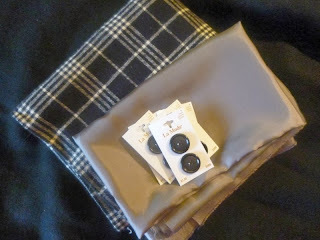 Ultimately, I decided on a flannel lining for the bodice, and Bemberg rayon for the sleeves. The plaid fabric in the first photo was my eventual choice. It's flannel from the Platitudes collection at Jo-Ann's. Most flannel from there tends to be thin and terrible, but I made two shirts from Platitudes flannel last year and they have held up very well. I was happy with this flannel except that it was off-grain. The grey lining is Bemberg rayon from Mood. While shopping in some nicer stores over Christmas (J. Crew, Brooks Bros.) I studied the suit jackets and they were all lined with Bemberg rayon. If it's good enough for a $400 suit jacket, it's good enough for me! While a nightmare to cut, the Bemberg was easy to sew and press. It was a bit fiddly to hem, and ripping stitches out was frustrating. Overall, I'm kind of meh on it and might consider something else next time. 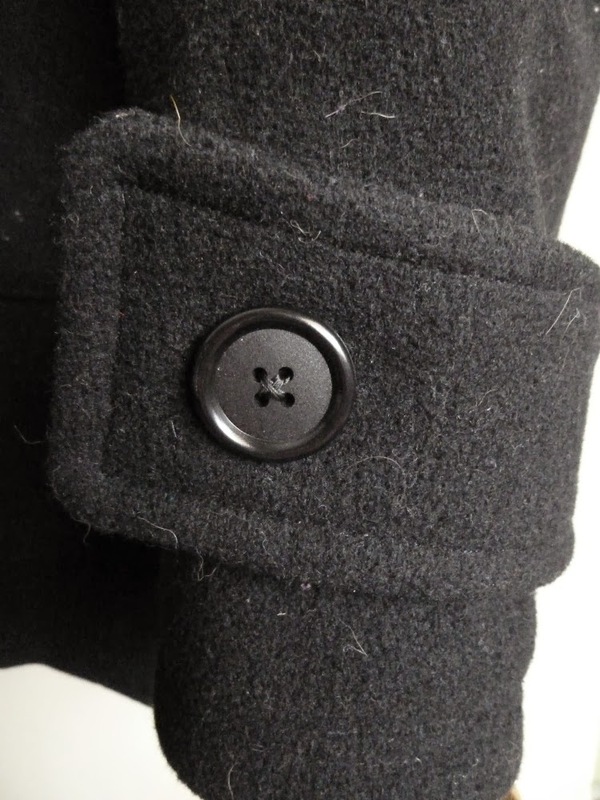 Originally I thought I would make my husband a tailored pea coat, and that opened the door to many types of interfacing. But given the simplicity of the Albion pattern, it didn't need a lot of tailored work. I went with a mid-weight fusible interfacing. I've found that anything stronger than mid-weight is awfully stiff, and makes buttonholes much more difficult (although I ended up sewing them by hand anyway). 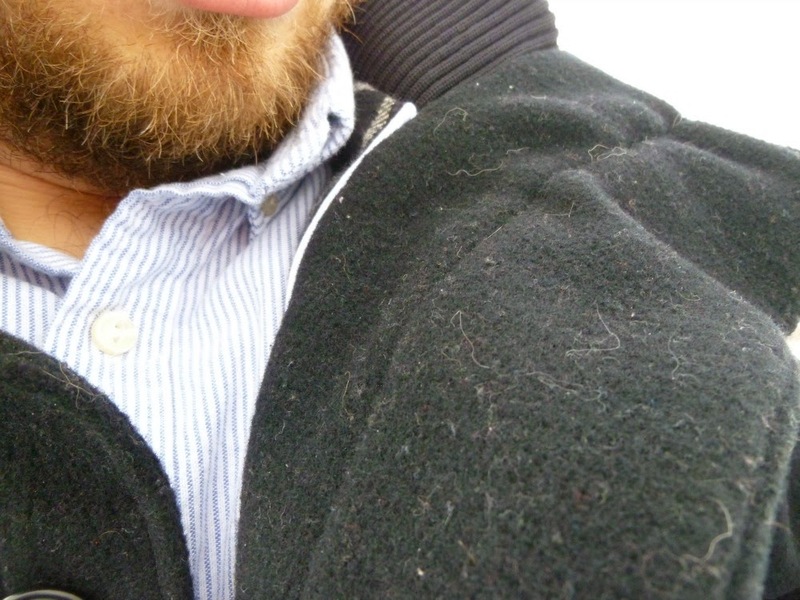 I'm kind of torn about the stiffness of the stand-up collar (which is two layers of wool, each interfaced). 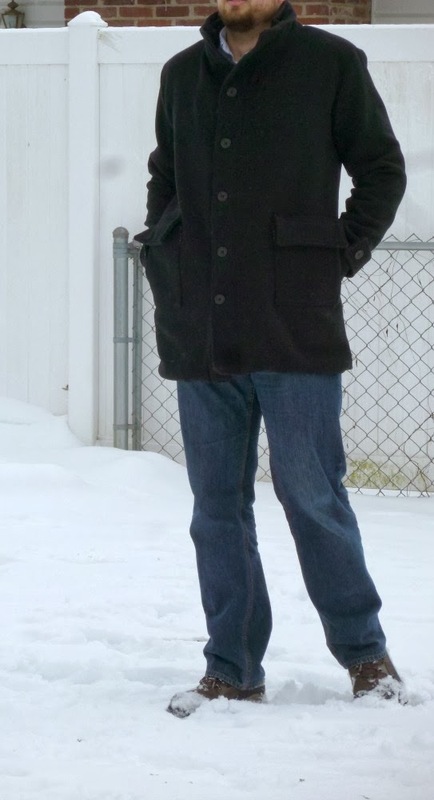 Owning a similar coat myself, I know that a stiff collar is useful when you want it around your face, but I'm also constantly pushing it out of my way because it bugs me. I guess a mid-weight interfacing is the best compromise. The buttons are all from Jo-Ann's (yay for buy one get one free on Black Friday!). I'm sure there's a nicer choice out there, but a few dollars here and there on so many details adds up over a whole project. 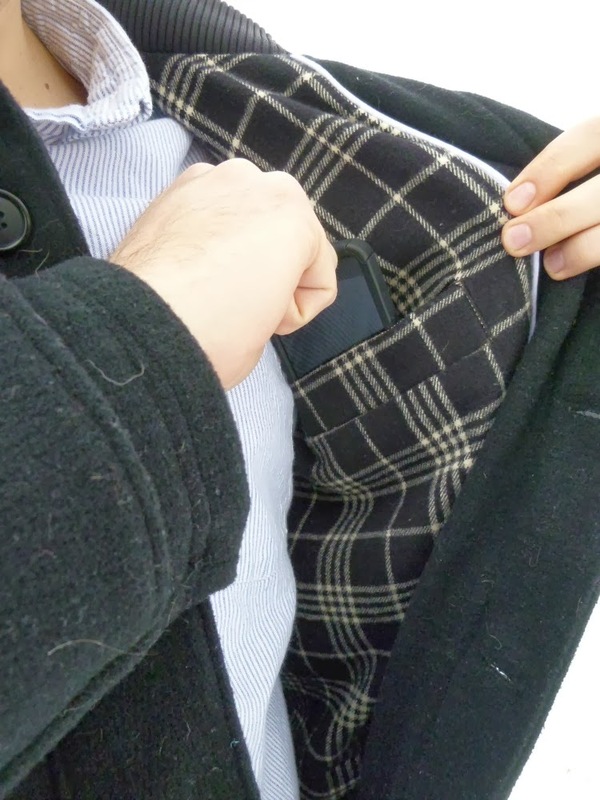 The white piping inside the coat is also the store-bought poly stuff that everyone hates. Sorrynotsorry that I didn't make my own, but my time is worth more than the cost to purchase. 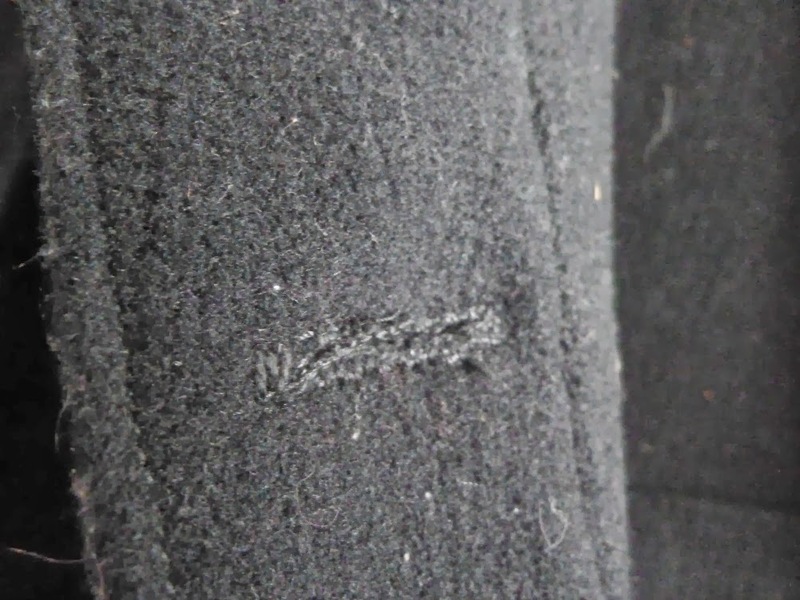 The ribbing inside the collar is from Wawak. It's heavy-duty ribbing made specifically for jackets, and it comes in a pre-cut size. To have enough length, I ordered the "waistband ribbing" and cut it down to fit. I was very pleased with this ribbing and the price is right. If anyone was curious, I probably have around $100 in materials in this coat, half of which was the coating fabric (I got a good deal!). It's by far the most expensive garment I've ever made. Coats can be quite the investment piece! Tomorrow I'll go over the resources I used to learn about coat-making and include links to some helpful tutorials. I teased. I mentioned this coat a month ago and then didn't mention it again. So here it is, two months in the making, my husband's Albion! 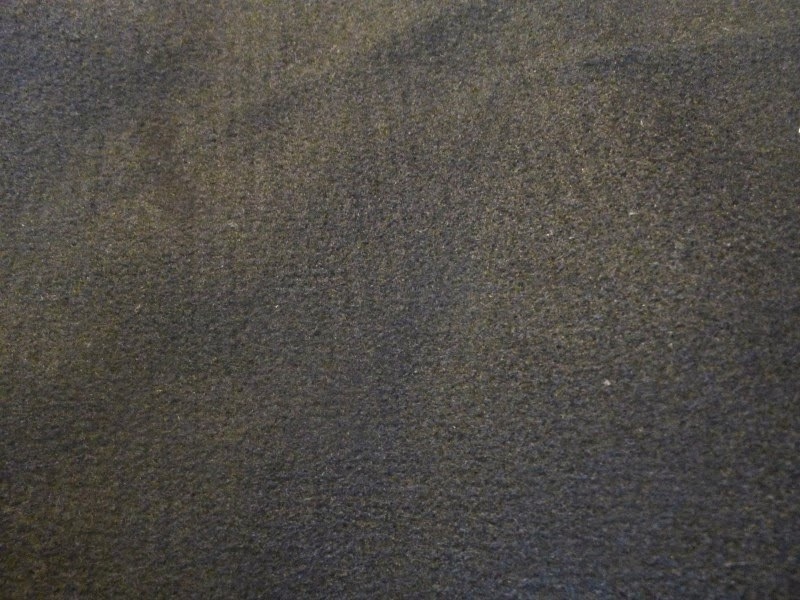 Fabric is wool coating from Fabric Mart. I used buttons instead of toggles. I left off the hood and drafted a stand-up collar. 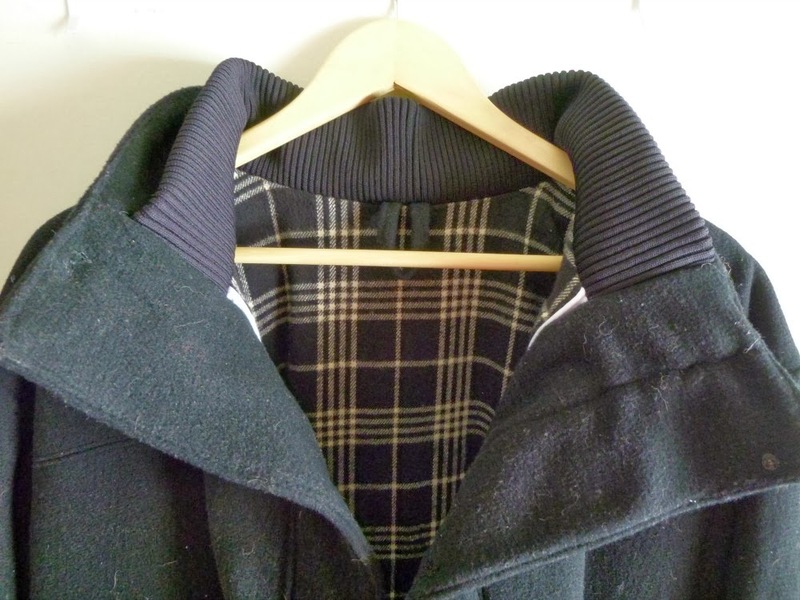 The coat body is lined with cotton flannel from Jo-Ann's. 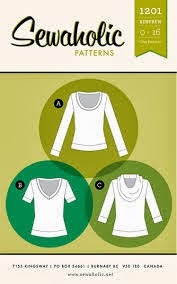 The sleeves are lined with Bemberg rayon from Mood. Extra topstitching on the back yoke. I added piping to the facings and a ribbed interior collar. 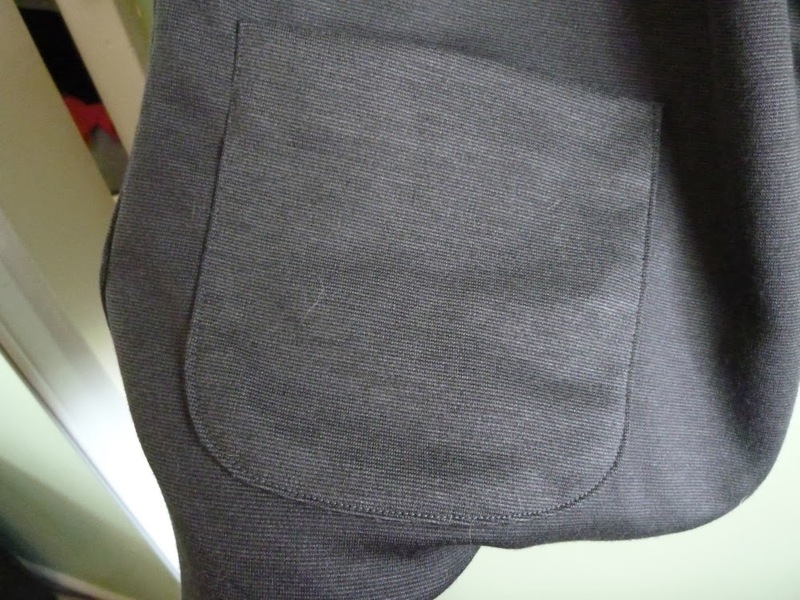 I inserted a welt pocket in the lining. I hand-embroidered this tag and sewed it inside. I sewed and inserted a loop for hanging. All five buttonholes were sewn by hand. This post is picture-heavy and light on the text, but I promise more details later this week. There is a lot to say about this coat!